There's nothing like an Indian wedding celebration to make you feel vibrant and alive. Once the celebrations are starting to wind down, you'll want to make sure your friends and family walk away with thoughtful Indian wedding party favors. 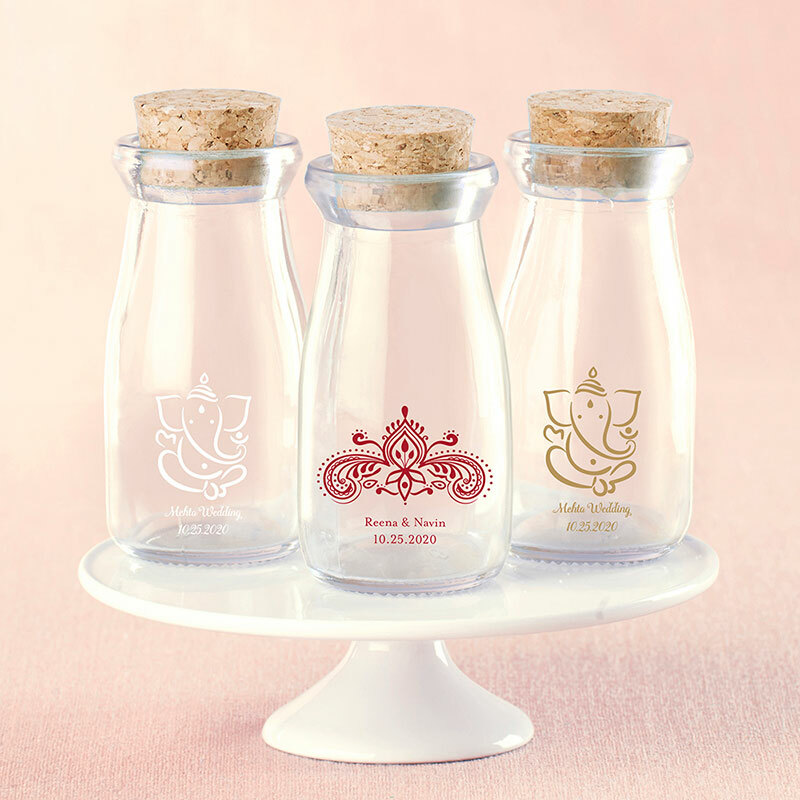 Kate Aspen's Personalized Printed Vintage Milk Bottle Favor Jar features an Indian Jewel design and your own custom details. Clear, old-fashioned mini milk jar favor container with real cork top and large, easy-access opening. Printed Indian Jewel design above 2 lines of custom text. Milk jar measures approximately 4" h x 2" in diameter.